Are you a business owner wondering about the value, the ROI of twitter and social media? Let me tell you about The Big Wine Tweetup that happened in Scottsdale, Arizona on Wednesday June 16th, 2010. The event was organized by a group of twitterers based in the metro Phoenix area to do something special for fellow Seattle based Twitter personality and social media expert, Seattle Wine Gal. The Big Wine Tweetup was a two part event. 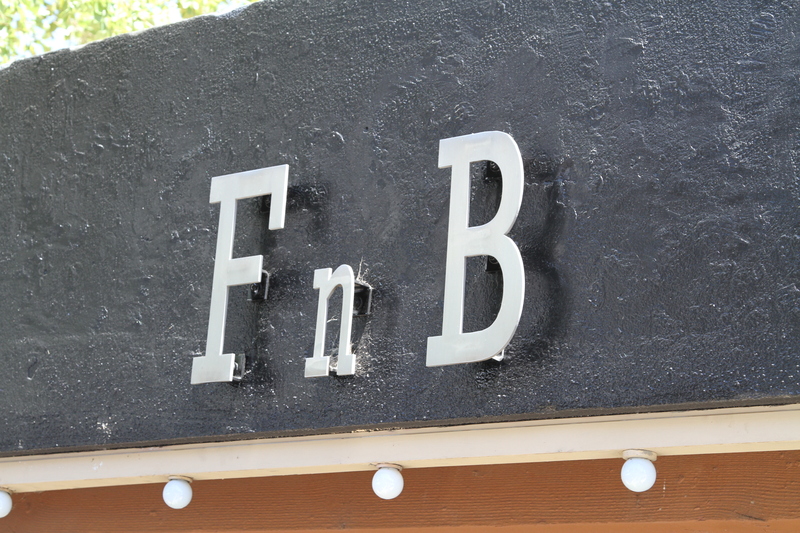 The first part was a dinner organized by Foodies Like Us co-owner Susie Timm and was held at FnB restaurant. Guests included @SeattleWineGal, @bspargo, @gritsnyc and hubby, @dragonflytweet, @diyamarketing and @CookieCaroline. I asked Seattle Wine Gal to observe the way co-owner of FnB, Pavle Milic, greeted every customer. He greets everyone as a guest of honor, so warm and friendly – something totally lacking in most restaurant experiences these days. For wines we enjoyed some of Sam Pillsbury’s Rose and some sparkling Chardonnay from Canelo Hills. After dinner we headed around the corner to Kazimierz World Wine Bar. Thanks to @foodieslikeus and @ciaomari for the reservations. This is where the tweetup got interesting, and where the ROI of twitter began to show itself. We were joined by quite a few people and the group swelled to more than 20 people. We were moving furniture around and eventually took up the whole front entrance all the way up to the bar, and even that wasnt enough room. We were joined by Arizona Wine Grower’s Association executive director Rhonnie Moffit (@AZWineries) and her husband @AZVineyardguy. 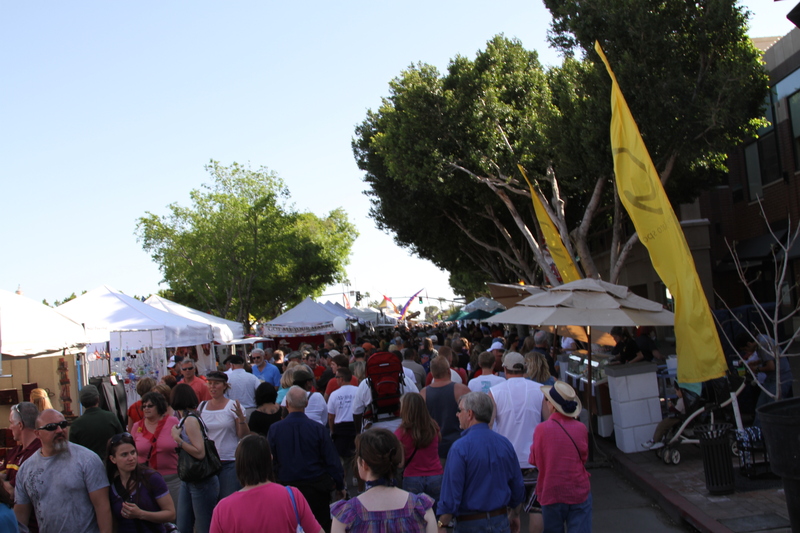 Also in attendance was Bulbstorm’s @Tena_Hartwig, @Cardiogoop, @DesertSmokeBBQ, @Sandy161, @KadeDworkin, @mywinehelper. There were also a bunch of people who were not twitterers, but were friends of twitterers and just wanted to come out and have a good time. Could you use a few more customers? we all dropped on dinner and after dinner drinks? How much do you think that is worth to a business owner? I counted up the total followers of all the Twitterers at the wine bar and it was over 22,000. Everyone sent out a few messages during the even- as people on twitter have a difficult time not tweeting about something fun they are doing! How much do you think it is worth to a business to have their name sent out to 20,000+ people, repeatedly. And the next day too, as people were remarking about what a great time they had. 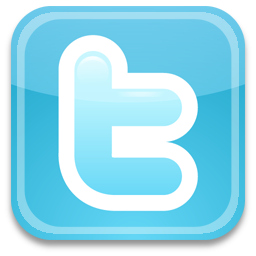 If you are a business owner you might want to think about getting involved in a tweetup. But how do you do that? How do you organize it, especially if you are not even on Twitter? Just reach out to people who are. You can reach out to me! @wklywinejournal or send me an email. If you are in the Metro Phoenix area you can reach out to any of the twitterers I mentioned I’m sure they would be glad to point you in the right direction. Getting back to what it might be worth to host a Tweetup, a Wine Tweetup or a cocktail hour Tweetup. It might be worth offering some kind of discount to the Twitter community. After all, you are going to be getting a ton of buzz from the event. And just think, what if your Tweetup had 40 or 50 people, tweeting to 40 or 50 thousand people? You could have a packed house! The next Big Wine Tweetup is being planned right now, the Weekly Wine Journal is looking for interested guests and hosts, so get in touch! ← What is Hedonic Regression? Great example of the effect social media can have for businesses willing to put forth some effort. Great article – what a wonderful success. What business owner would not welcome the idea to jump on this bandwagon. Get the word out – Social Media works! Thanks Monica! There is still a lot of skepticism out there but we’re working on it! Terrific post, Tim! We’ve seen the power of Twitter at work on our corner with Pavle & I connecting with both regulars & potential new guests by tweeting often about features, events etc. at FnB, Cowboy Ciao and Kazimierz. We were thrilled you & Susie chose Kazbar for the @SeattleWineGal tweetup. We had estimated 8-12 guests in the planning tweets & e-mails; luckily the front corner sofa area “expands” as needed so 20+ were able to (cozily) fit! With the room filling up earlier than usual for the live CD recording, we were a bit short-staffed for double the turnout & truly appreciated everyone being so patient. Tweetups with 40-50 guests? Bring it! For future, would you consider having a variety of choices (2 whites, 3 reds, maybe a beer & a cocktail) at a set price? It would allow us to provide quick, attentive service and simplify payment for such a large group paying individual tabs. Again, our thanks to all who tweeted (twet? – LOL) up at Kazbar that night. I apologize I forgot to send out the olives & nuts as I had planned! Thanks Marianne! Make no mistake it is a little bit of a risk putting together something for people who interact with tens of thousands of other people on the internet. If it goes badly…but thats the risk you have to take. The reward is amazing. Higher Risk, Higher Reward. This was fun especially meeting Seattle wine gal. I’m going up there in early July so that was cool to get advise on things to do. Tim and I got a cool new tweetup for July that we’ll announce July 6th. This is going to be a larger space for our group and very affordable set price which includes some AZ wines with a food buffet. Rock it.